How do I buy a Furniture Medic Franchise? Furniture Medic offers prospective business owners the ability to capitalize on the multi-billion dollar wood restoration industry. Owners provide customers a unique, highly skilled service, and have a business that is easily scalable, in an industry niche that is currently largely underserved. To buy a Furniture Medic franchise there is a liquid capital requirement of $25,000 and a total investment between 80,355 and $90,732. Furniture Medic® franchising is a unique business opportunity serving both residential and commercial clients. For 25 years, Furniture Medic has been a trusted partner to moving and transportation companies, insurance agents, furniture manufacturers, retail establishments, and individuals who want to save time and money by restoring—not replacing—their valuable items. Open Furniture Medic in any of these available states: AK, AL, AR, AZ, CA, CO, CT, DC, DE, FL, GA, IA, ID, IL, IN, KS, KY, LA, MA, MD, ME, MI, MN, MO, MS, MT, NC, ND, NE, NH, NJ, NM, NV, NY, OH, OK, OR, PA, RI, SC, SD, TN, TX, UT, VA, VT, WA, WI, WV, WY. *Not available in all areas. Referrals not guaranteed. Furniture Medicfranchising has been recognized in Entrepreneur Magazine’s Franchise 500® on numerous occasions. In 2016, Furniture Medic was ranked #360 on the Franchise 500® and named #174 in the America’s Top Global franchises. At Furniture Medic, our franchisees are business-minded, personable individuals with strong management skills and outstanding customer service. 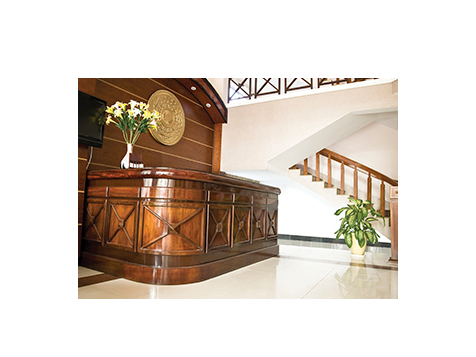 They take great pride in educating individuals and businesses about the numerous money-saving ways that furniture and fixtures can be restored quickly, expertly, and onsite. “Education at every level” is our hallmark, which includes 20 hours ofrequired online home study; a two-week, intensive, hands-on training; a post-academy check-in to ensure that technical skills and marketing plans are on target; ongoing mentoring; regional meetings; national conventions; intranet podcasts, and more. Many of our franchisees have no previous woodworking experience, and quickly acquire the technical skills necessary to provide Furniture Medic services with the same seamless expertise that we adhere to system-wide. Joining a network of Furniture Medic franchisees means having access to a wealth of knowledge whenever you need it. Our franchisees share best practices and strategies that continually strengthen our brand across North America. With a dedicated marketing specialist, online support, and digital strategies working for you around the clock, every opportunity to help your businesswill be at your fingertips. Furniture Medic is a ServiceMaster® company. ServiceMaster encompasses several highly recognized brands and has 65 years of franchise experience. Through our affiliate, the ServiceMaster Acceptance Company (SMAC), we can offer attractive financing options. In fact, SMAC can finance up to 80% of the initial franchise fee and the equipment and supplies to help start yourbusiness. Furniture Medichasover 23 years of experience and there are more than 200 locations in North Americaand the United Kingdom. Furniture repair and wood restoration have experienced steady growth on the rise to the multi-billion dollar industriesthey are today. 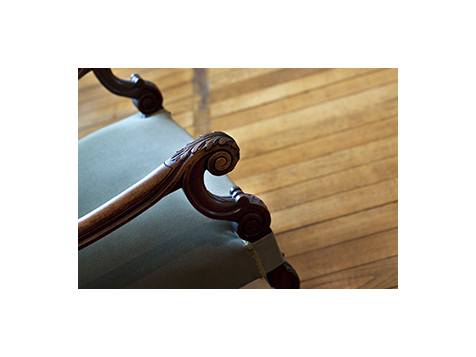 As our reputation has grown Furniture Medic franchises are now working with insurance companies to help clients who have experienced water or fire loss that hasimpactedwood furnishings or cabinets. 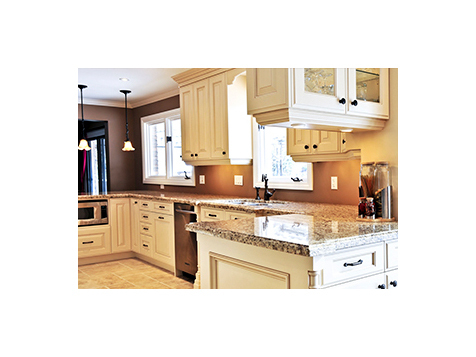 Our cabinet refacing can restore a kitchen damaged by water or fire or just update its look. Our parent company, The ServiceMaster Company, has been helping people like you start businesses since 1952.There’s never been a better time to join the team. Financing is available through ServiceMaster Acceptance Company, a subsidiary of The ServiceMaster Co. LLC, to credit qualified individuals. © 2018 Furniture Medic Limited Partnership. All rights reserved. Furniture Medic is not currently active in our directory, but here are some other recommended selections for you to explore.